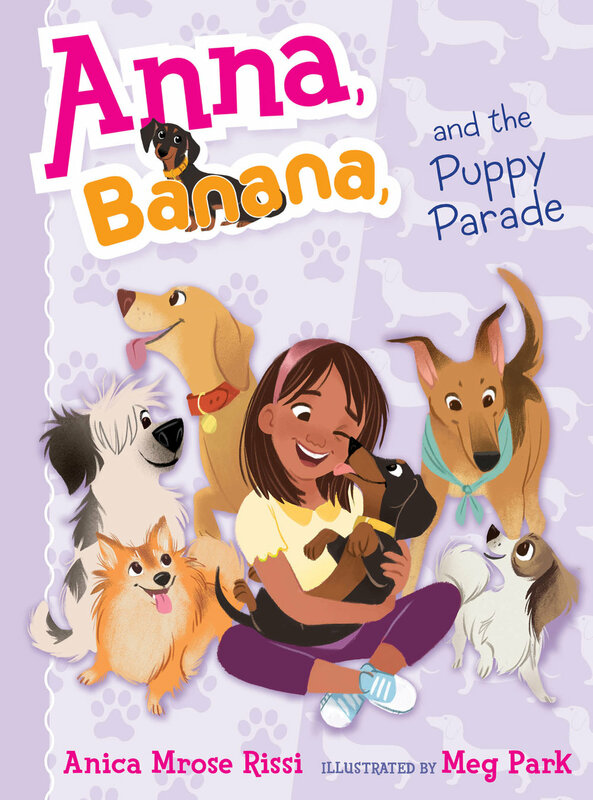 The Anna, Banana illustrated chapter-book series (for readers ages 6-10) follows Anna as she navigates the ups and downs of elementary-school best friendship, with a little help from her wiener dog, Banana. 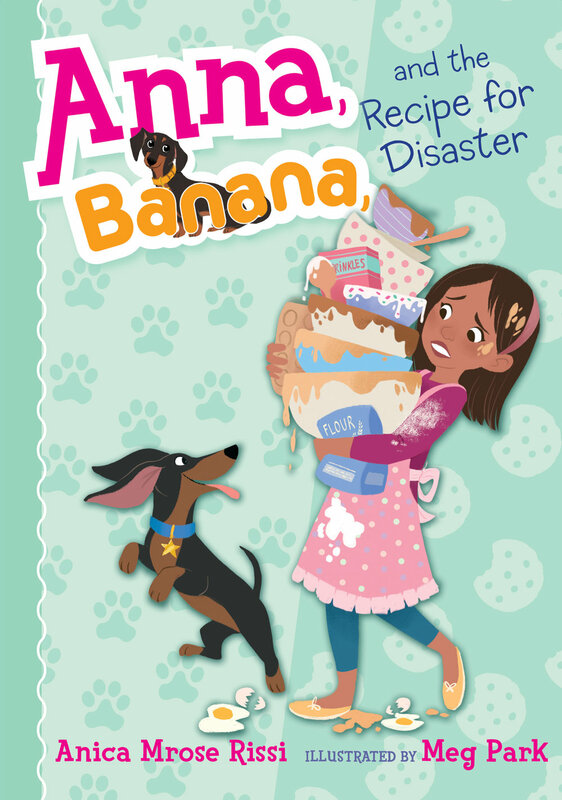 There are seven books in the Anna, Banana series out so far, and more coming soon! Find the books online through Indiebound, B&N, BAM, iTunes, Target, Indigo, Book Depository, or Amazon, or ask for them at your local bookstore or library. Click here to find the ANNA, BANANA ACTIVITY KIT. It's chock full of games, challenges, coloring sheets, and more. Watch the Anna, Banana book trailer below! Anna and her friends love sleepovers...and sharing secrets! Anna can't wait for her first sleepover at Isabel's house. Make your own pizzas, supersparkly nail polish, and a secret surprise from Sadie are sure to make this the most fun sleepover yet. The only way it would be better is if Anna’s dog, Banana, could come! Anna is lucky to have two best friends—it makes everything twice as fun. She’s excited to go with Sadie and Isabel on their class trip to the zoo. It's Anna's lucky day: She found a stray kitten! 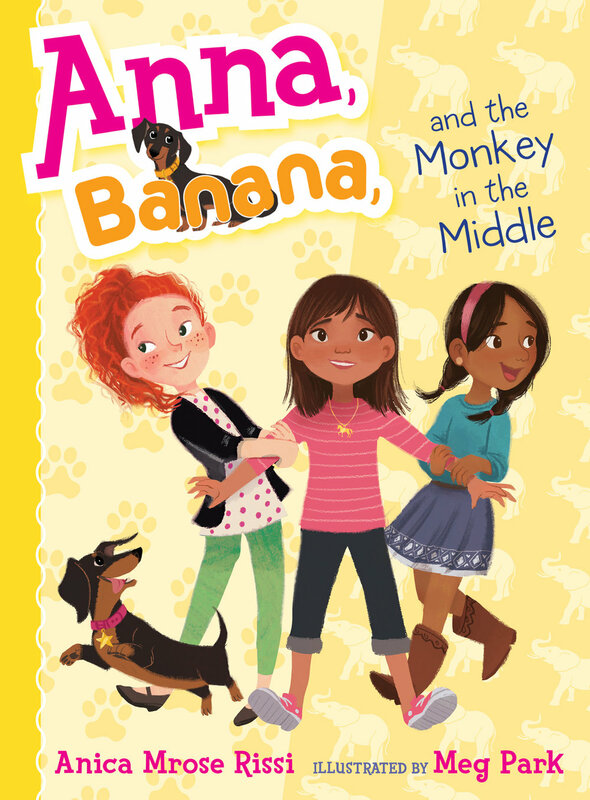 But when her dog, Banana, scares the kitten away, it's up to Anna and her friends to find him again. Catching the kitten is trickier than Anna expects—kittens are easily scared and very sneaky. And even a small kitten can cause big trouble, as Anna and her friends soon discover. They want to help the kitten find a good place to live, but is saving the kitten worth breaking the rules? When Justin dazzles his classmates with a mysterious, magical card trick, but refuses to say how it’s done, Anna and her friends are determined to figure it out for themselves. They set out for the best place to find answers—the library!—ready to learn every trick in the book. If they can perfect their acts in time (with Banana’s help, of course), they can put on a show of their own at the neighborhood potluck party. There's only one problem: Monica, Sadie and Isabel's new friend who keeps stirring up trouble. Monica, who might be trying to steal Anna's best friends away from her. Can Anna's special new recipe help win them back, or will an unexpected ingredient turn things from sweet to sour? Find the hardcover box set, Anna, Banana, and Friends: A Four-Book Collection, or the paperback box set, Anna, Banana, and Friends: A Four-Book Paperback Collection, on Indiebound, B&N, BAM, Amazon, Indigo, Book Depository, S&S, and Goodreads.